The first videogame I ever played was in the late 1970s – my uncle had small game unit that plugged into the back of a TV set and with a couple of paddles attached all manner of games featuring a small moving square could be played. These Pong variations were an early induction into the future of home entertainment – and it's remarkable to see that 30 years on this same game can make something of an impact thanks to the wonder of gesture technology. Windows Mobile devices equipped with accelerometer or g-sensor hardware (such as the HTC Touch Diamond, Samsung Omnia and HTC Touch HD) can take advantage of two freeware releases designed to work specifically on these types of phones – NavTetris and Gravity Pong. There's nothing new or revolutionary about the games – they retain all of the classic elements. 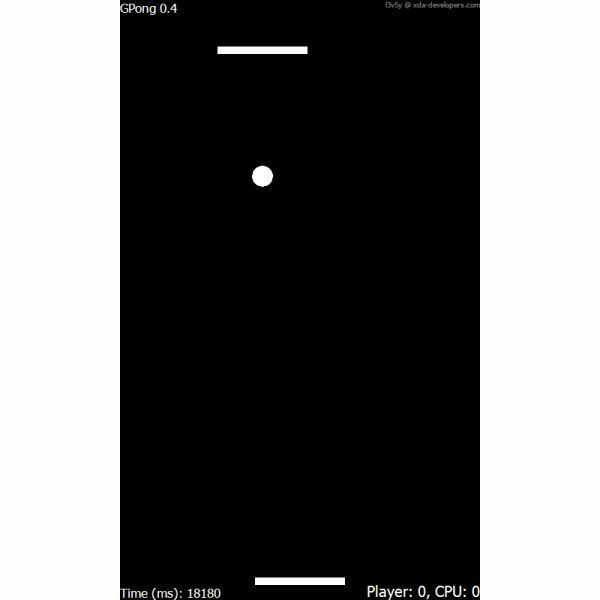 Pong still has the square ball, the Tetris-clone still has the blocks. it's the interface that makes the difference with these two games. As different as a keyboard or mouse is to a paddle or trackball, they still retain the same basic degree of hand-to-eye co-ordination. G-sensor technology is different however – especially when you're controlling something displayed on the device you're moving. It's a different skill entirely! Gravity Pong can be downloaded from FreewarePocketPC.net. The aim is simple – get the ball past the computer controlled opponent's bat. Thisis done by moving your phone – tilting up or down changes the speed of the ball, while tilting to the left or right changes the movement of the bat. 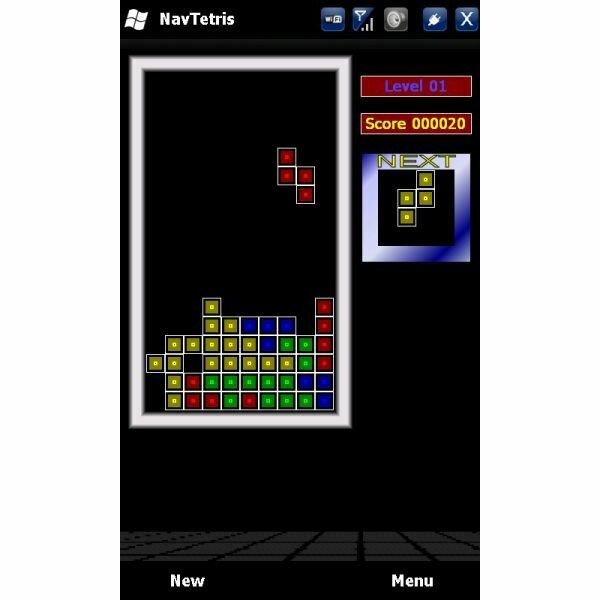 NavTetris meanwhile follows a similar method – move the tetrominoes left or right by tilting the phone in that direction. This title in particular is worth a mention due to it being compatible with standard devices without a g-sensor. There's plenty of scope for more retro games to be given the g-sensor treatment – we're yet to see motor racing games that make use of the technology on Windows Mobile, while the various space invader-style classics could all benefit from some gesture-interpretation. NavTetris and Gravity Pong are two great games that have been well-realised. Breathing life back into older games is a difficult task at the best of times – and while Tetris is an old faithful that will probably outlast mankind given the number of comebacks it has made, who would have thought that Pong could possibly become cool again over 30 years later?